Ventura is an enticing playground at sea for people of all ages. Ideal for families or adults, she makes cruising a pure pleasure. Enjoy elegant fine dining, a tranquil spa, great sports facilities and four pools. There are age-specific children’s clubs, a night nursery for 4s and under and an early children’s tea. Adults can unwind with dazzling shows, stand-up comedy and a lavish, two-deck theatre. Rather a nice time of the year for Spain, Portugal and Gibraltar, and just £60 a night all-in - travel, accommodation and all the food you can eat. Rather choppy time of year to be taking an Atlantic coast cruise, though. The clue to the 8% price difference is in the word 'November'. "Bringing alcohol onboard at embarkation: Each passenger, aged 18 or older, is allowed to bring one bottle of wine, Champagne, beer, spirits or liqueur up to one liter in size at embarkation. ... Purchasingalcohol in ships' duty-free shop(s): It will be retained until the end of the cruise". G&T every morning methinks. Bring a mixer as water is £10 for 6 small bottles. Yes there are some downsides but they are managable. Dont miss Captains night, as much as you can drink for free for about 3 hours. Dont miss Captains night, as much as you can drink for free for about 3 …Dont miss Captains night, as much as you can drink for free for about 3 hours. 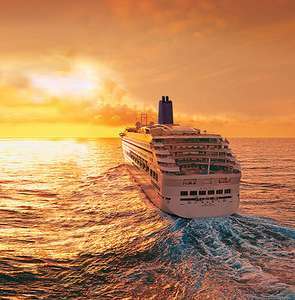 "Many cruise lines host a captain's cocktail party on every voyage so that passengers can meet the crew. The booze usually flows freely at these parties, which can last for an hour or longer. On Disney Cruises, all trips have captain's cocktail parties with free drinks, so that cruisers can mingle with the captain and Disney characters." Certainly happens on P&O. Even on Thompson, just reading. Every ship and every cruise has a "meet the Captain" night to the best of …Every ship and every cruise has a "meet the Captain" night to the best of my knowledge and I quote "Many cruise lines host a captain's cocktail party on every voyage so that passengers can meet the crew. The booze usually flows freely at these parties, which can last for an hour or longer. On Disney Cruises, all trips have captain's cocktail parties with free drinks, so that cruisers can mingle with the captain and Disney characters. "Certainly happens on P&O. Even on Thompson, just reading. Not on P&O, I can assure you!